This tool creates a fundamental unit that is sure to add sparkle to your quilt block designs. Although the ruler shape is similar to the V Block, the final unit has two seamlines radiating from a single corner, so the center triangle in the finished unit resembles a beam of light shining out of that corner. Accurate construction has always been challenging until now. With the Corner Beam tool (formerly known as Spotlight), all the shapes are cut slightly over sized and once sewn, trimmed to extremely precise units with seams perfectly placed for a crisp sharp point every time. 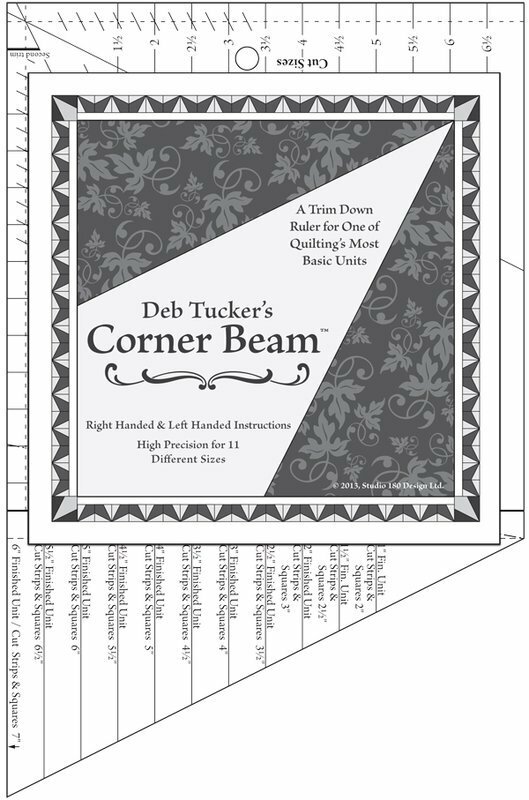 Brighten up your blocks by adding Corner Beam to your toolbox today!